A mushroom can be a great model. 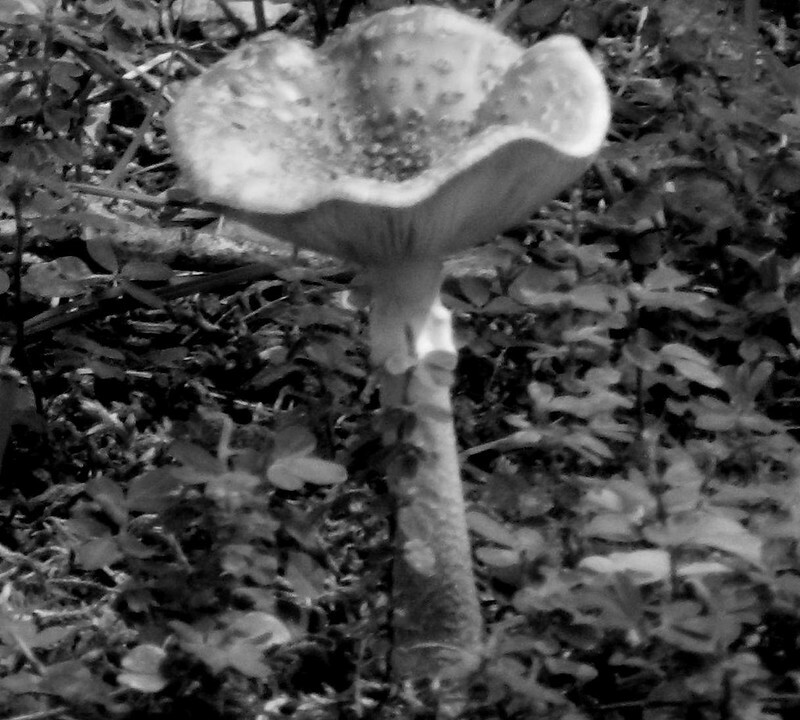 Interesting fungi ---makes a nice photo in black and white. It has been a long time since I've seen fungi, but I took a walk in the forest a few days ago and took some photos. Then I came home and found some on the maple tree in our yard. Like something out of a fairy-tale! It looks so delicate and vulnerable! How DO you do what you do? Beautiful -- I expected to see a brownie or an elf under there though! Never seen a mushroom like this. Looks good in B&W. Cool shot, looks great in B&W. I've been taking lots of photos of mushrooms too = there are so many of them in my yard, and this weekend's rain will bring more. Hope you are having a good summer!